Instead of indulging in an advent calendar filled with goodies, at Christmas the Create team gave back to the community with their ‘reverse advent calendar’. Every day in December the Create team added non-perishable items to a Christmas box in the office, which was then delivered to the office’s local food bank in time for the festivities. Items donated included cereals, soup, pasta, juice, milk, pasta sauces, toiletries, nappies, washing powder and much more. 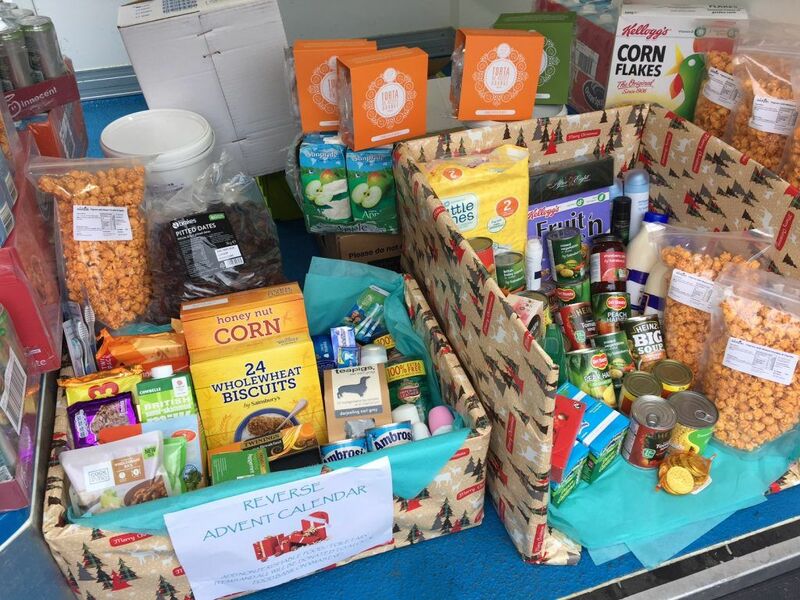 Over 90% of the food distributed by foodbanks in The Trussell Trust network is donated by the public, so ideas like a reverse advent calendar can prove vital in keeping these organisations going, and ensuring everyone gets a balanced, nutritious supply of food. Thank you to all of our team who helped in this great Christmas initiative – Wandsworth Food Bank was delighted with the delivery. 1 in 5 people in the UK now live below the poverty line, and last year 4,078 three-day emergency food supplies were given to those in crisis by UK food banks. If you would like to assist your own local food bank you can find your nearest one here.